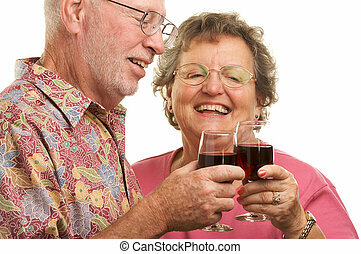 Couple toasting. 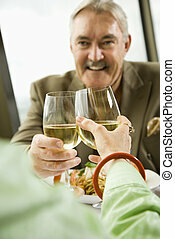 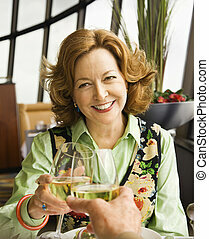 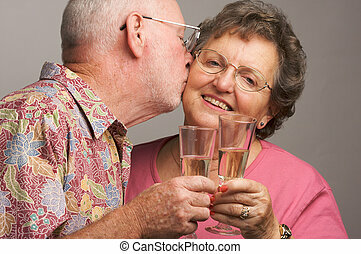 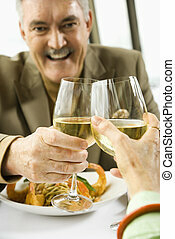 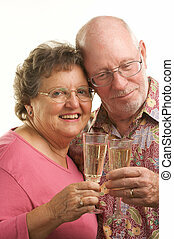 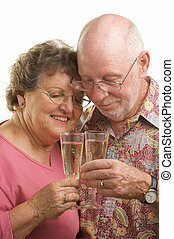 Close up of mature couple\'s hands toasting white wine. 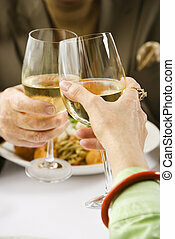 Close up of mature couple\'s hands toasting white wine. 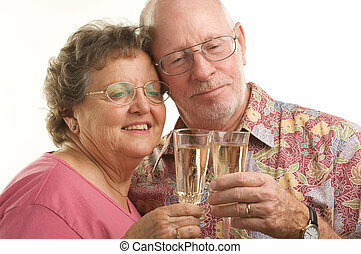 Happy Senior Couple toasting with Champagne glasses. 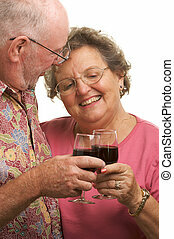 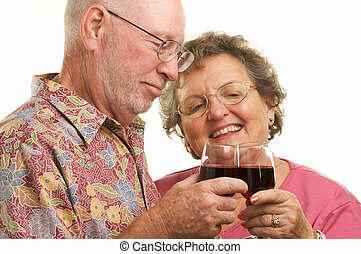 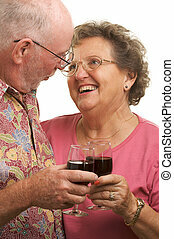 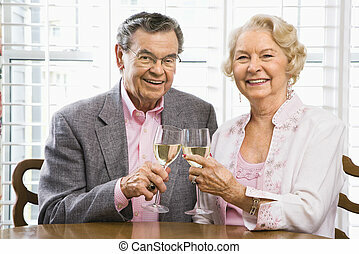 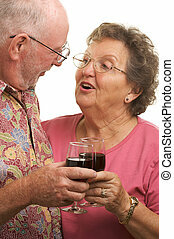 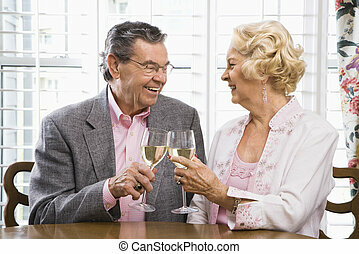 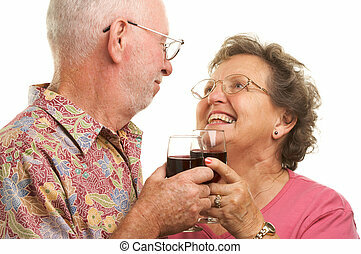 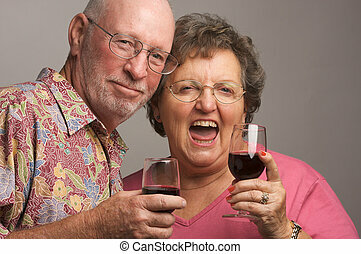 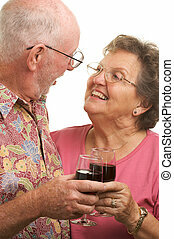 Happy Senior Couple toasting with Wine glasses. 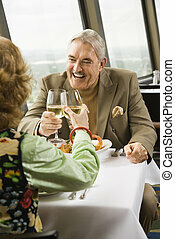 Mature couple dining and toasting in fancy restaurant. 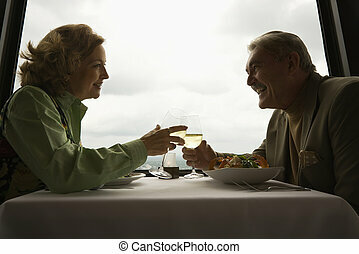 Caucasian mature couple at nice restaurant drinking wine and talking and laughing. 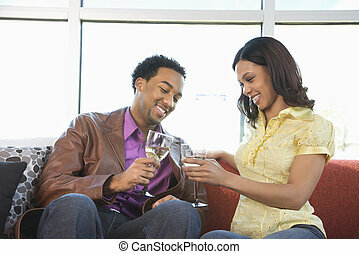 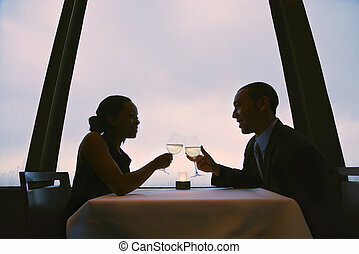 African-American couple toasting wine glasses. 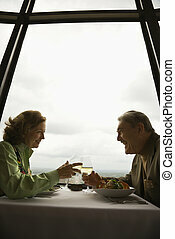 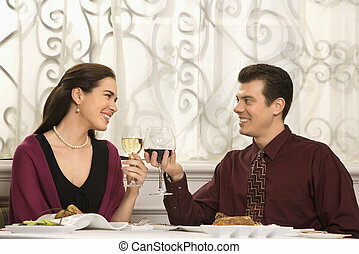 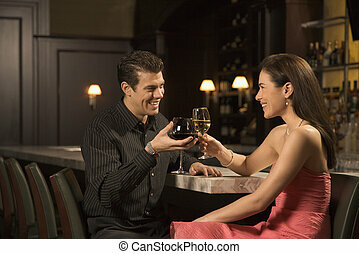 Mid adult Caucasian couple smiling and toasting wine glasses in restaurant. 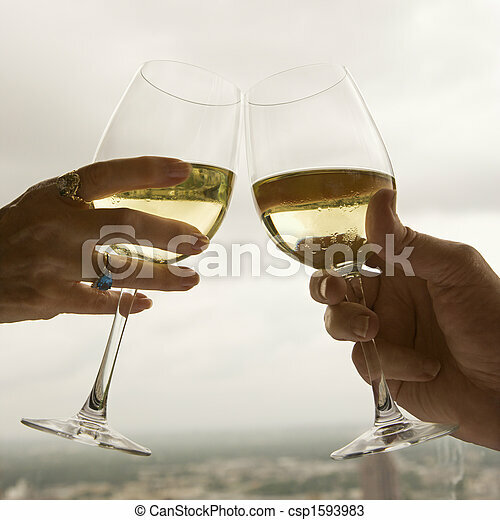 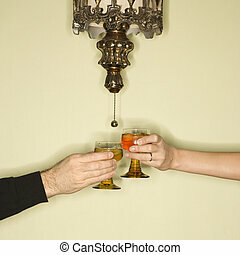 Caucasian mid-adult male and female hands toasting glasses. 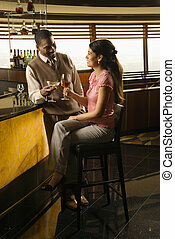 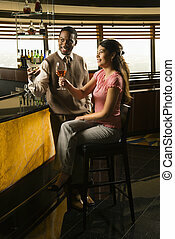 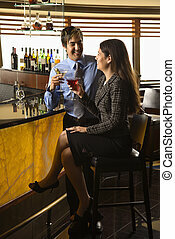 Mid adult African American man toasting Hispanic woman at bar. 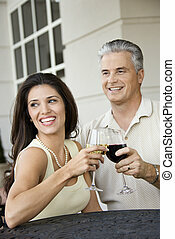 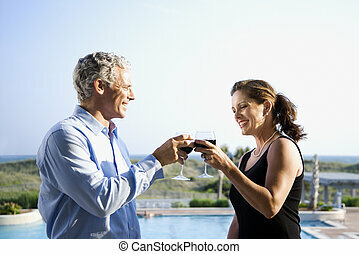 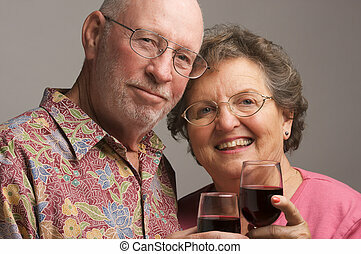 Mid adult Caucasian couple smiling and toasting wine glasses.